Disclaimer: I only own an iPad and none of the Surface devices. This little post only compares the devices based on their dimensions as can be found in the individual specs. Why am I doing this? As mentioned previously I’m thinking about buying a Surface Pro and this explains my thought process on how I decided which version to get. For those living under a rock here are the numbers (I’m a european guy so I’m going with millimeters and grams). I mention the cover for the iPad because I always have this attached to the device. For the decision making this proves to be very useful since the total weight of the iPad + leather cover matches the weight of the Surface Pro 3. This allows me to better predict how much the extra weight of the Microsoft devices may or may not bother me. It may seem like an unfair comparison in favor of the Surface Pro, and technically it is, but somehow I perceive the Type Cover – despite its name – a little different from the iPad cover which is just that: a cover. I actually only use it so I don’t have to press the power / home button everytime to turn it on / off. This keeps the buttons function properly over time. The cover as a cover is not really necessary. In order to not only have the numbers but also some first hand experience I recently visited a local tech store and played with the Pro 2. For some reason I think the weight is more palpable in landscape mode rather than portrait. Having that elongated thing in two hands felt surprisingly light. 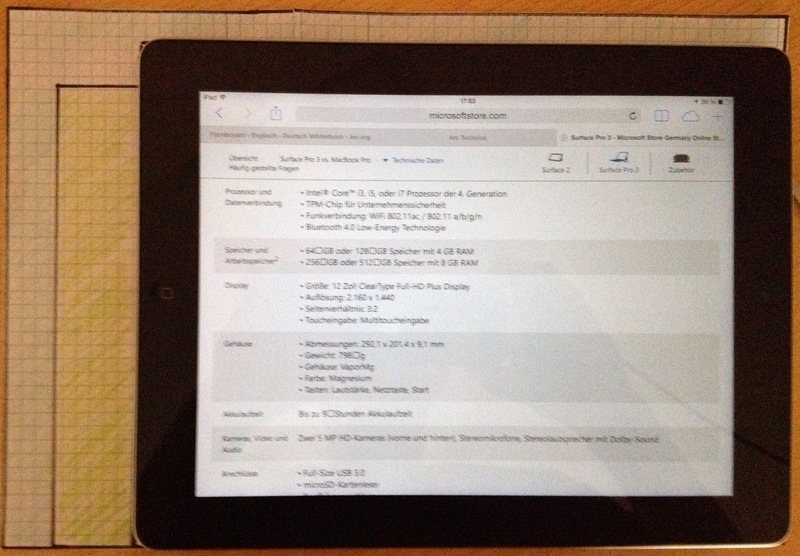 To me, the additional 100g of weight compared to my iPad setup didn’t make much of a difference. I’m not even using my iPad with just one hand where that hand has to carry the complete weight of the device. Most of the time I have my legs propped up against a chair and rest the tablet on the legs, or when lying down I have it on a small pillow on my chest. And I’m not all to foreign to some weight in my hands so I think I’m fine in this department. The more important aspect of chosing which one to get was the size of the device and how much information can be displayed (and also the fact that in Germany the Pro 3 only starts shipping end of August – too long Microsoft, too long!). Since the Pro 3 mid-level config isn’t any faster than its predecessor it’s “merely” a very nice device but no must have. Maybe the Pro 2 is enough and I can satisfy my impatience with the older model. I watched a lot of videos on Youtube to see how the 10″ model handles productivity apps. 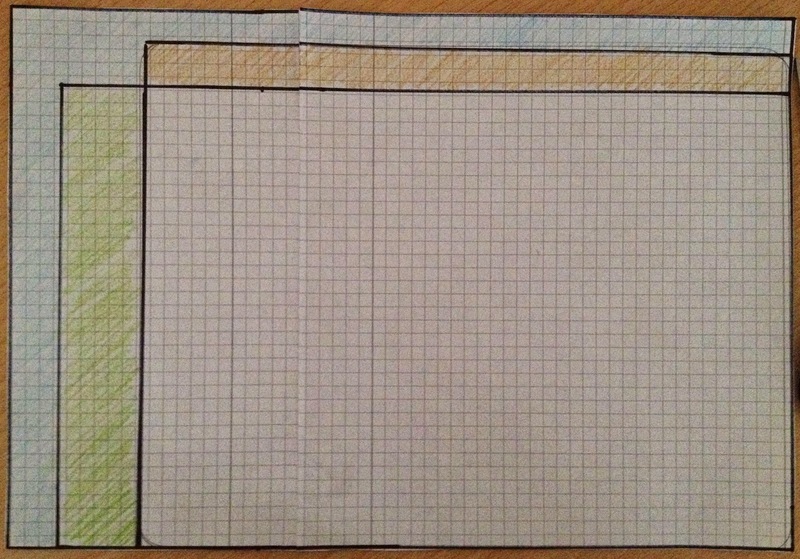 I even drew the shapes of all three devices on paper for direct comparison. Brown is the iPad, green the Surface Pro 2 and light blue the Pro 3. Here’s another (blurred) version with the iPad. The comparison with the 16:9 formfactor of the Pro 2 has probably been made by many other sites around the Internet for the past year, so I won’t add anything to that. The Surface Pro 3 in landscape is just a little larger but a lot wider than the iPad. That means I get more content on the screen in the way I use the device most of the time, unlike with the Pro 2. Now factor in the fact that the Metro Browser completely hides its UI and you’ll get a lot more content on the page. This really surprised me on the Pro 2. I didn’t expect it to work as well as it does. That actually feels huge! But not as awkward as the Pro 2. Just as a side note: One of my monitors supports portrait mode as well (16:9) and I tried this in hope to get more code on the page but wow did that make me dizzy. On the Pro 2 you’ll get a lot of website on the screen this way and it is actually readable (not super tiny so it puts strain on the eyes). But it feels strange for sure. The new Surface does a little better in that it more resembles the A4 format of a paper. It’s just a tiny bit smaller (from edge to edge) compared to a piece of A4 paper but it feels like a piece of paper – like a notepad that’s always stacked with paper (a lot of paper here…). Something that most of us are pretty familiar with. If scaled intelligently, text should now be even more readable than on the previous version. I’m very curious how comics look on the larger screen, the only real reason for me to use the portrait orientation. On the iPad the text is sometimes a little bit too small. I expect the Surface Pro 3 to be a lot better in this use case. Although the Surface Pro 2 would certainly work very well for me, I’ll be patient – as hard as it may be – and wait until the Pro 3 is available in Germany. Apart from the things I do with my iPad regularly, I want some more productivity and for that the bigger screen certainly helps. 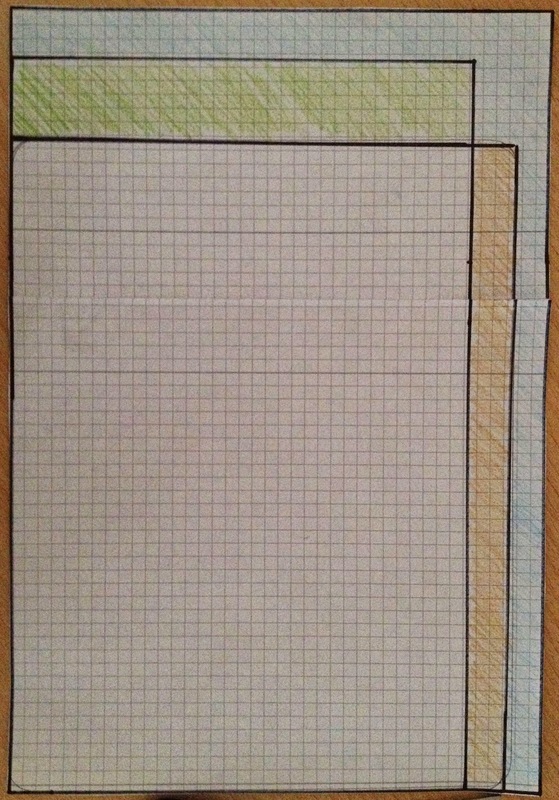 Maybe, with the nice new OneNote and Pen integration I can also cut down on my paper notes and go more paperless. I’d certainly love to, but picking up pen and paper is, to this day, still more convenient. The Surface Pro 3 might be able to change that for me. And, it supports Connected Standby which the Pro 2 doesn’t. I certainly can’t wait to get my hands on one of these.